Just after the Media Launch of Nokia Lumia Strore, The Amazing Nokia Lumia Developer Day - 24hrs coding a week ago, Yesterday, 07 February 2012, Nokia Indonesia held Nokia Lumia Pre Launch Party in Jakarta, Indonesia. 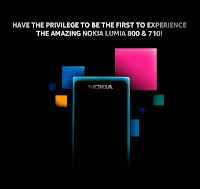 Located at Bistro Boulevard, Central Jakarta, Nokia Indonesia exclusively introducing the brand new Nokia Lumia 800 & 710 to the guest. 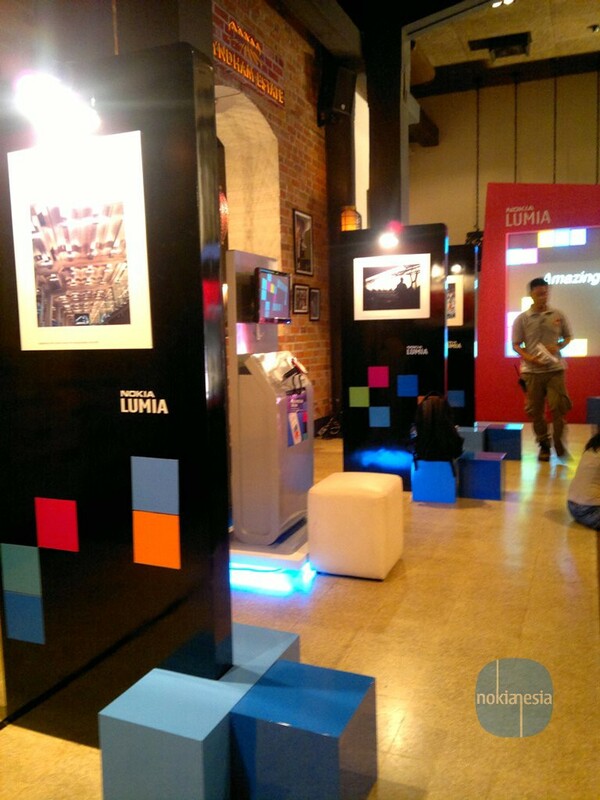 The venue is full decorated with "Lumia" design, start from the entrance, registration desk, until the main stage are full with "Lumia" ambience. All the guests can take a photo and get that photo with Lumia Photo frame for free. Inside the venue, there is main stage and big screen to show some presentation and video. 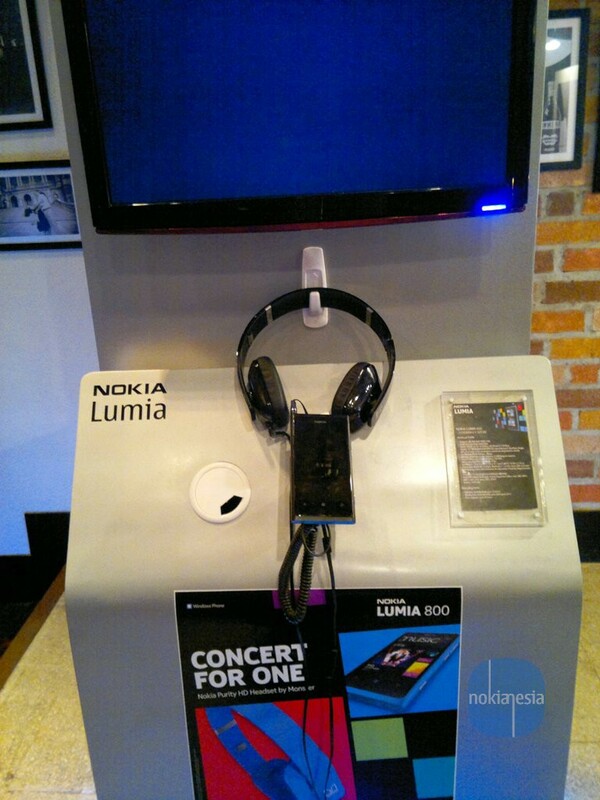 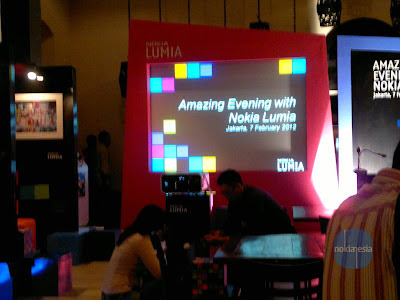 The entire guests are also free to try the Nokia Lumia 800 & 710, "all u can try". 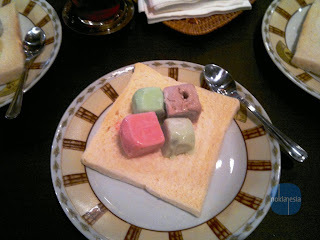 Not only the decoration, There are also Some Amazing things like The Amazing Ice Cream, The Amazing Aromatherapy candle, The Amazing T-Shirt, and many more. 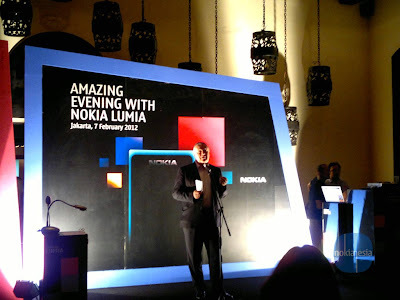 The event started at 07PM with Lucy Wiryono as an Amazing MC, after that The President Director of Nokia Indonesia, Mr. Bob McDougall gives some speech about Nokia Lumia and Nokia Lumia's chance in Indonesia. 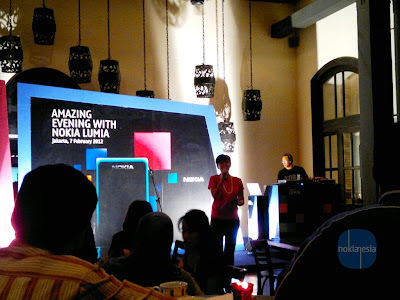 Representative from Microsoft Indonesia also give some speech about The Nokia Lumia series and partnership between Nokia Indonesia and Microsoft Indonesia. 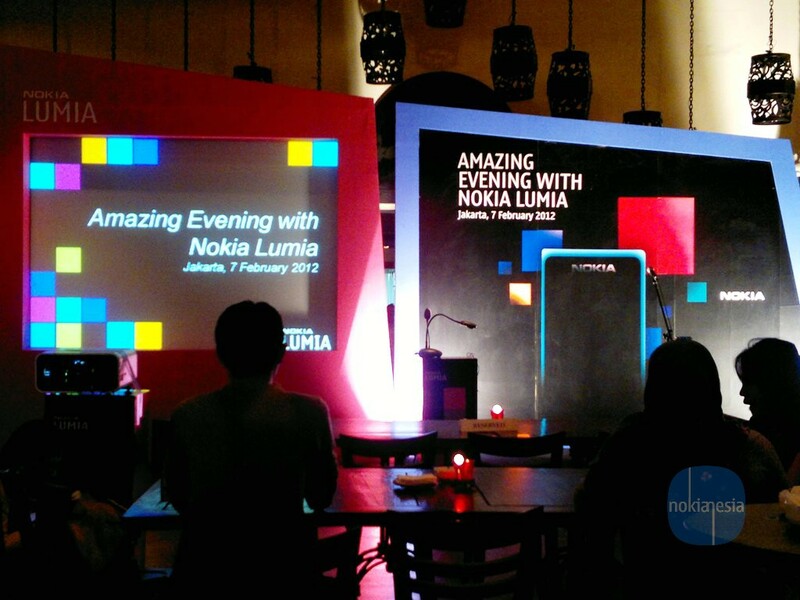 And now time for Anvid Erdian, Product Manager of Nokia Indonesia to give some Nokia Lumia Presentation. 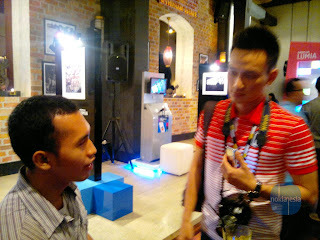 He explain about Nokia Lumia 800, start from the hardware, the live tiles, the strengthen of People hub until the easiest ways to drive or walk navigation, turn by turn, free voice navigation with Nokia Maps and Nokia Drive. 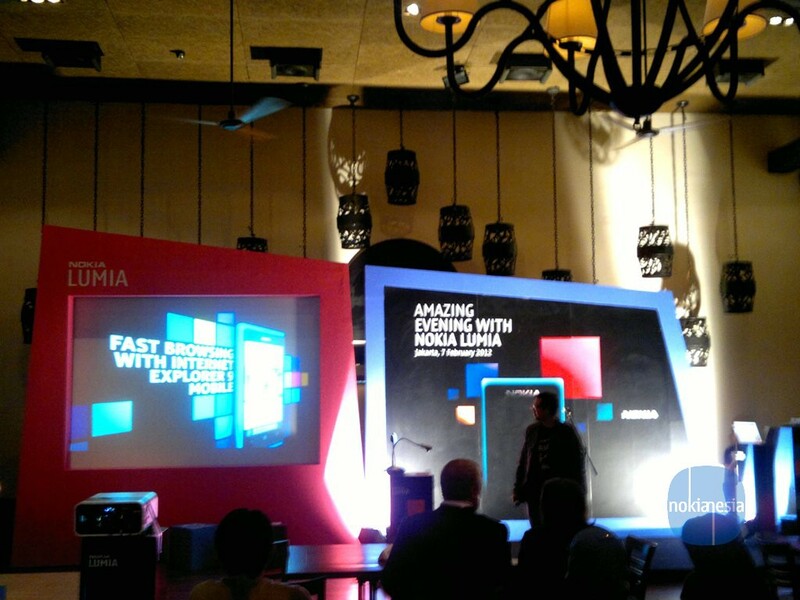 Kresna Dewantara from Armanovus introduces The 1st Mobile Streaming Application in Indonesia for Windows Phone, "KompasTV Mobile" for Mobile streaming application and he also introduces "Plane Tix", a windows Phone application to search airplane ticket in Indonesia. 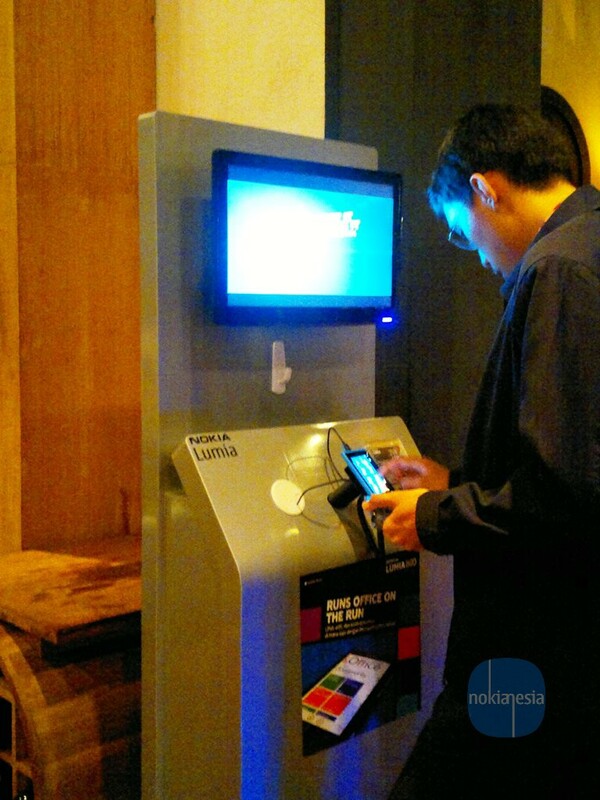 KompasTV Mobile application and Plane Tix application are now available on Windows Phone Marketplace. After the Amazing Dinner, it’s time for Auction. There are 2 Lumias for the auction, 1 Nokia Lumia 800 sold only for IDR 5.050.000 comes with Nokia Purity Headset By Monster (WH-930) and 12 Months XL Data Unlimited. 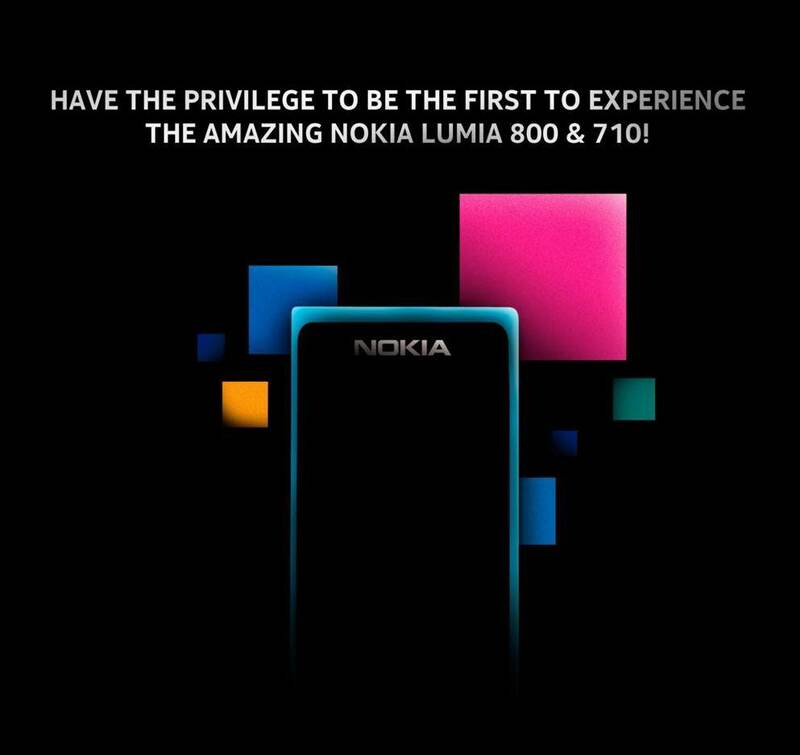 The second one is very Amazing phone. 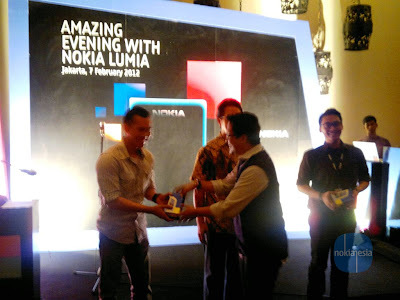 Yap, Nokia Indonesia shows the Nokia Lumia 800 White edition. 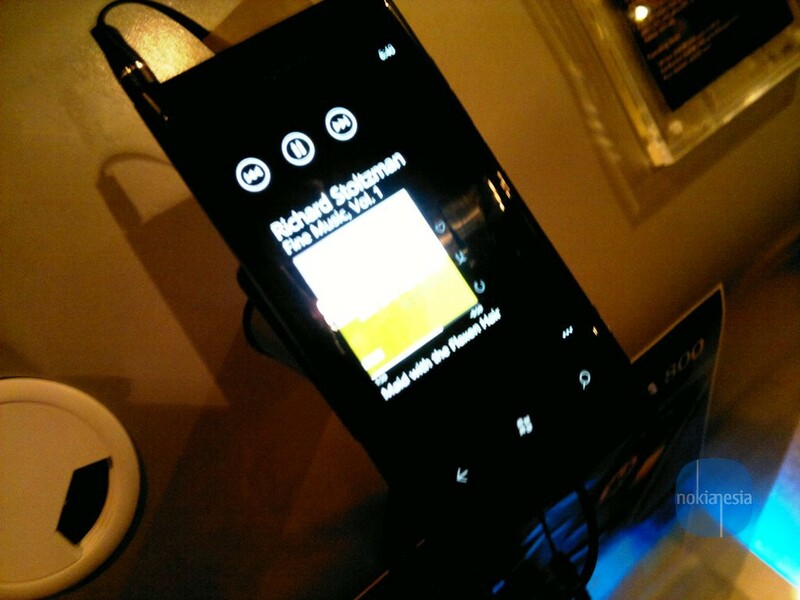 The White edition sold only for IDR 5.800.000. For your Information, Nokia Indonesia starts to sell the Nokia Lumia 800 White edition on March 2012. 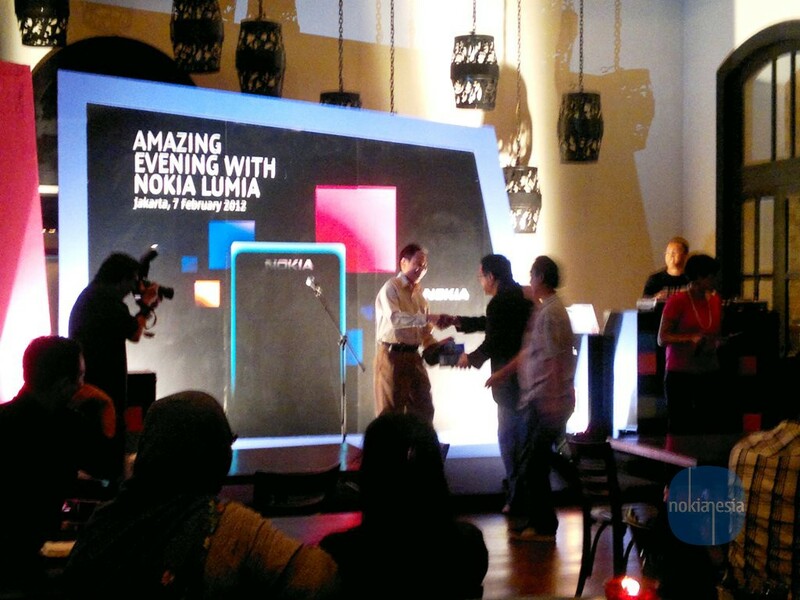 All the revenue from this auction will be donated to the Indonesia Red Cross. 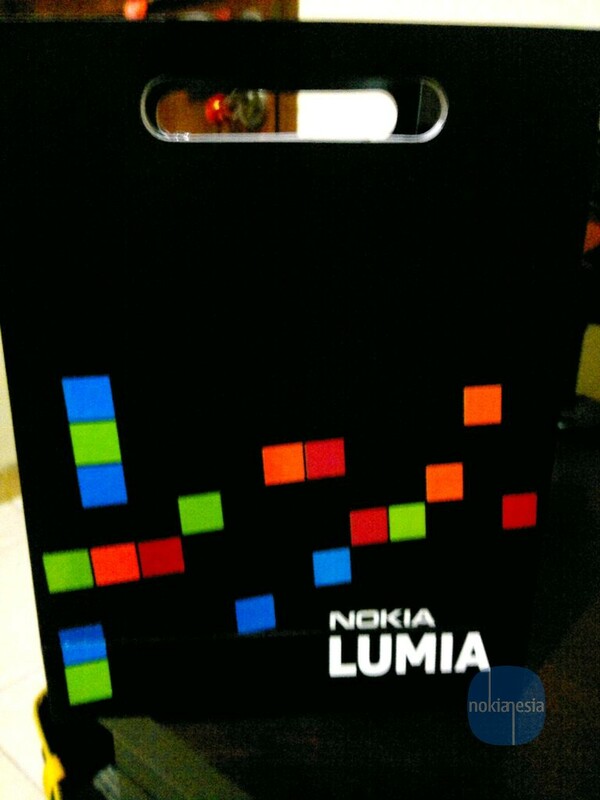 Now time for door prize session. One of @nokianesia contributor, Reza Muhammad won the Nokia Lumia 710. 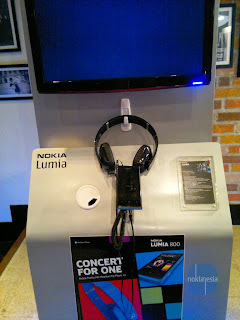 There are also 2 guests won the Nokia Lumia 710 and Nokia Purity Headset by Monster (WH-930). Congrats for all of you guys !! 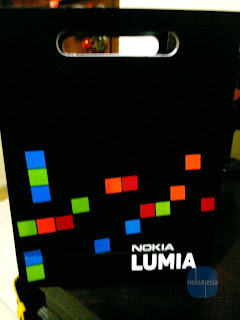 The Grand Launching of Nokia Lumia 800 & 710 is planned on 17-19 February 2012 at Senayan City Mall Jakarta, Indonesia.